2015 is upon us and here are a few things that I’m excited to watch/see/listen/read in the year that lies ahead. I unashamedly love Thunderbirds. But the last adaptation, a 2004 film remake with Sir Ben Kingsley, was a pretty sub-par attempt. In fact the only thing I remember about it is the song Busted released for it (talking about unashamedly loving something…). So I think it was safe to say I was a little on edge when a new Thunderbirds adaptation was announced. But, going by the team behind it and the cast (Rosamund Pike, Thomas Brodie-Sangster, Kayvan Novak), and the fact that it’s a small screen adaptation – which Thunderbirds definitely suits – this could be a winner. Apparently it’s a mixture of CGI and live action model sets and has already been picked up for a second series for 2016/17. Thunderbirds are go indeed. From what we’ve seen of the trailers this adaptation of Hilary Mantel’s novel is going to be as much candlelit intrigue as the book so many people fell in love with. 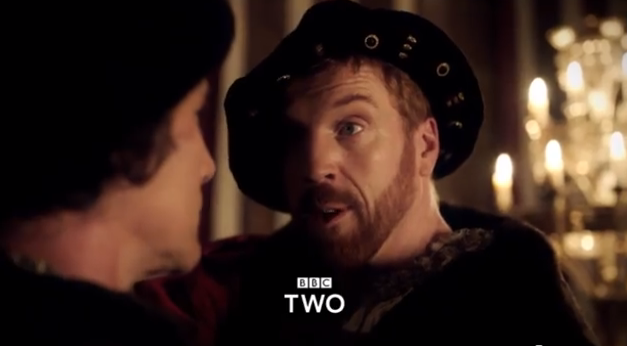 Henry VIII seems especially sinister, which is a testament to Damian Lewis because I’m not sure how many people can pull off sinister in a codpiece. At any given time I need about two supernatural-based TV shows with at least one hot man and a well-written script in my life. I am a sucker for the genre (think Supernatural, Being Human, Teen Wolf) and a good show like that just makes dark evenings and slob by weekends that much better. This year is season 5 of Teen Wolf so that should keep me entertained for the summer, but until then I am going to give The Originals a go. I never really caught onto The Vampire Diaries fever but whilst trawling Netflix I tried an episode of The Originals: the writing and its darkness piqued my interest. So this will be my new reason to stay awake until 2am going ‘just one more episode, I think’ for early 2015. Brooklyn Nine-Nine has had me in stitches all through the Christmas period. I started watching this earlier in 2014 but took a cavalier attitude to catching up, then promptly ran out of ways to watch it. But around Christmas-time I noticed it pop up on Netflix. I shouldn’t have watched it after all those Christmas food blow-outs though. Laughing on a full stomach hurts. The new series starts on E4 15th January and I can’t wait for more of the Nine-Nine. Don’t laugh, but I genuinely thought it was a podcast all about cereal when I first heard people mentioning it. Then I did my research and went all red and embarrassed. Anyway, I’m well aware that I am super late with this. Serial has been all over t’internet for the last few months of the 2014. But I’m an on-the-move listener and now that I no longer have a commute that makes it necessary to disengage with humanity, I haven’t had the chance to catch up. But now I have a stationary bike and a resolution to do a bit more exercise, so I’m going to grab that as an excuse to download the episodes and, hopefully, enjoy. Over Christmas/New Year they aired the last two episodes ever of my favourite radio sitcom…you might need to just give me a minute to cry. I haven’t had a chance to catch up yet and I am going to make sure that I have the time to give them the attention they deserve. I remember when listening to this was the only way to get through the days at my hideously disgusting first job out of university. In fact it was the only thing that made me return to the office after my lunch break, during which I often considered bolting completely. 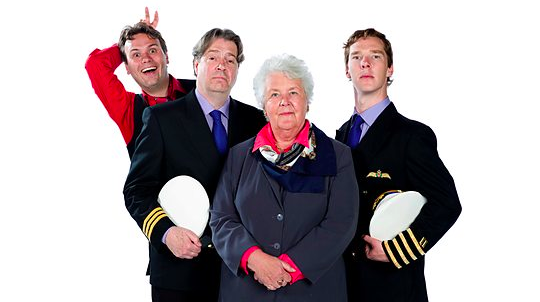 But when I got back to my desk to pretend to work some more, I stuck on Cabin Pressure and everything was much better. I read Judith Wood’s article over the new year in the Telegraph about how the Danes may hold the key to happiness in 2015. Could being more Danish make your year better? 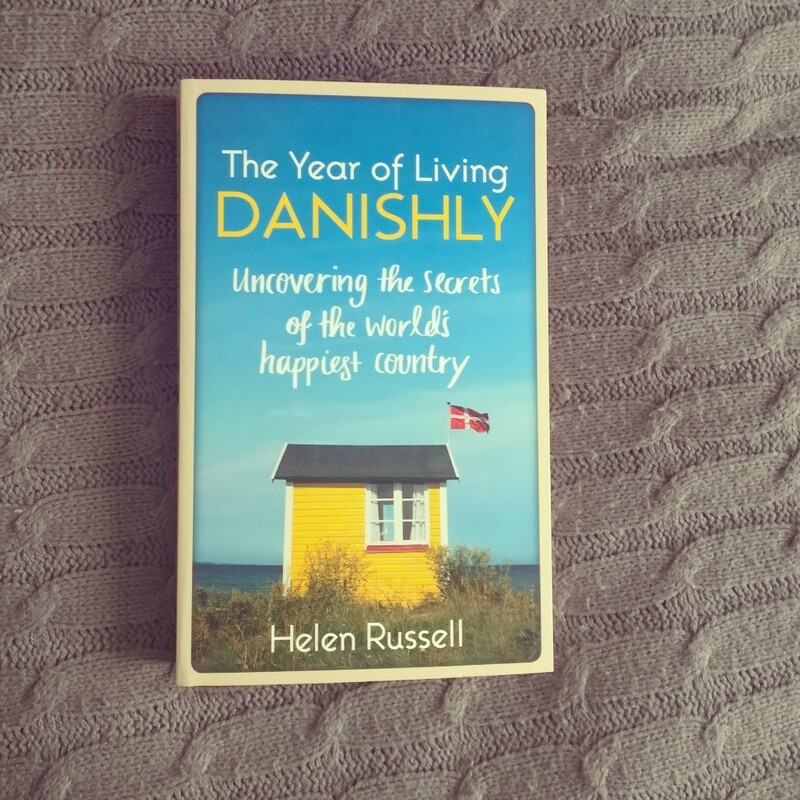 A lot of it was based on Helen Russell’s book The Year of Living Danishly: Uncovering the Secrets of the World’s Happiest Country. The book goes through the first year of her expat life in rural Jutland, Denmark after her husband was hired by Lego. She touches on topics such as the Danish approach to 9-5, family life, entertainment and the concept hygge (best word and meaning ever). After visiting Copenhagen in October last year I am a little besotted with this neat tiny country. And I certainly got the feeling that the Danes have got a lot of stuff right. Maybe this book can help me sort out my resolutions for this year. Stephanie Plum novels are, at times, the absolute backbone to my wellbeing. If I am feeling sniffly, emotional, curl-up-in-a-foetal-position pathetic, then a Stephanie Plum novel will lift my spirits right up. Whether it’s because it makes me laugh (which it does, stupidly loud, even on public transport) or daydream about whether I’d prefer Ranger or Morelli *fans self* it always cheers me up. I read the last one whilst hooked up to a machine getting stem cells sucked out of me for a donation (even though my hands and arms were covered in medical bits and bobs and I had to blow on the pages to make them turn). The book, and no doubt oxygen deprivation from all the blowing, kept me wonderfully distracted. So I can’t wait for the next in the series that will come out like clockwork this summer. I start to get a little light-headed if I think about this for too long. I have been a rugby fan since…well, before I can remember. World Cups are always the highlight of my calendar when they happen every four years. I still have a scar on my fist from when England won the 2003 world cup and I (accidentally) punched a ceiling beam. The world cup is finally coming to England in 2015 and I have managed to secure a ticket through a friend for England vs Fiji. It’ll be my first international match (don’t look at me like that, I am a big fan, I just can’t afford tickets). Oh yeah and I managed to get a ticket to see Benedict Cumberbatch as Hamlet in October. No biggie. What are you excited to watch/read/listen/see this year?